Your legacy is what defines you, in the memory of those who survive you..
Holy Spirit Church, Binghamton NY﻿ USA. 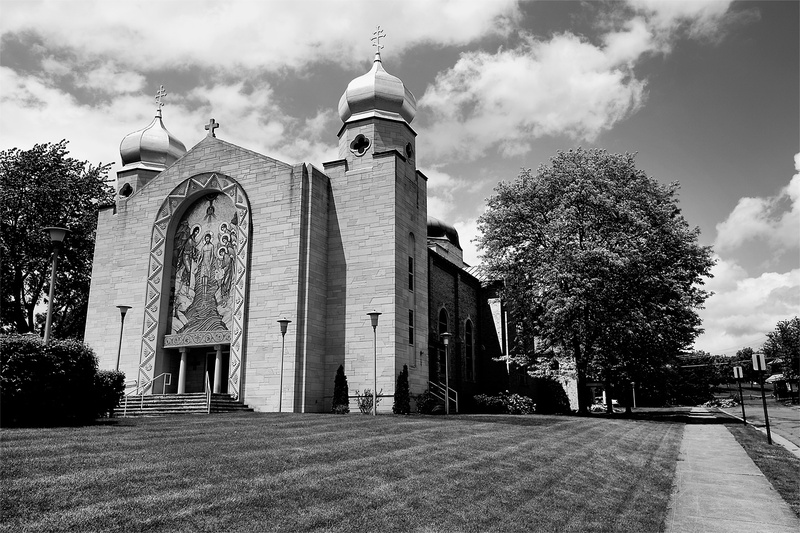 Established in 1952, this Orthodox Parish﻿﻿﻿ became Binghamton's first Byzantine Catholic Church﻿. Christ Episcopal Church﻿, Binghamton NY USA﻿. 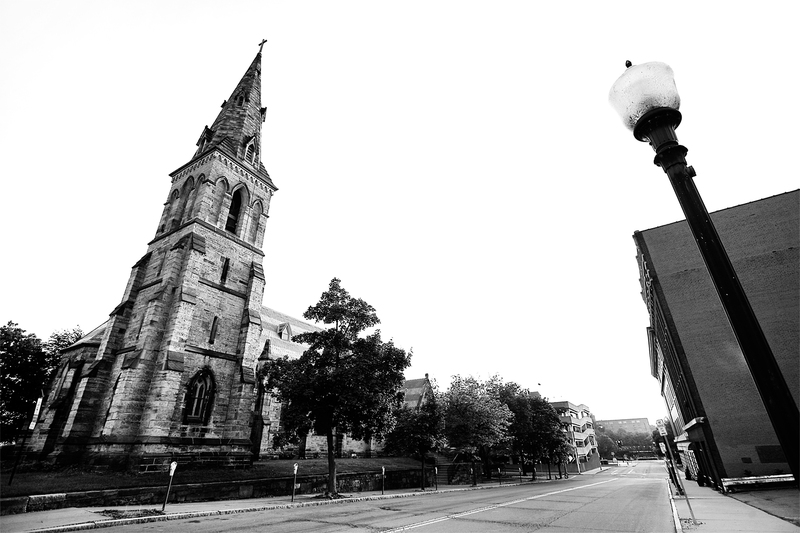 Established in 1810, and is the oldest standing church in Binghamton. The Christian Church tradition states that you can readily identify a Episcopal Church as the one with the red door. The red door signifying sanctuary. 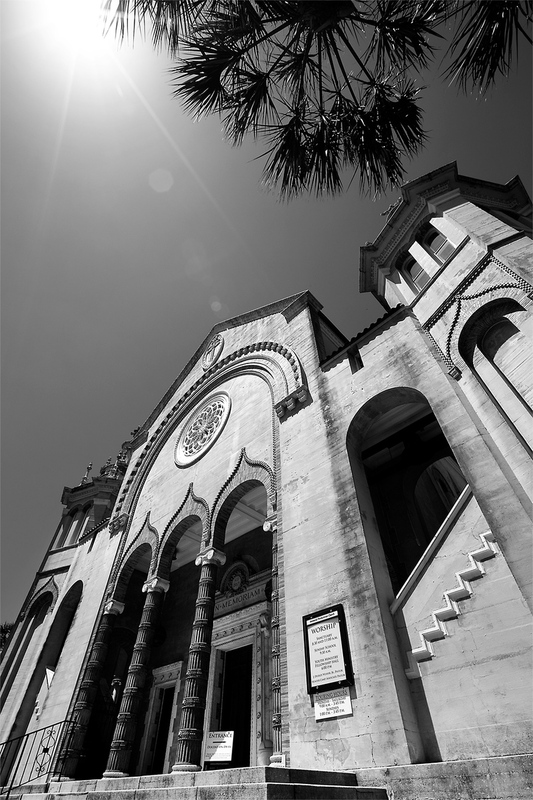 Cathedral Church of Saint Luke, Orlando FL USA. 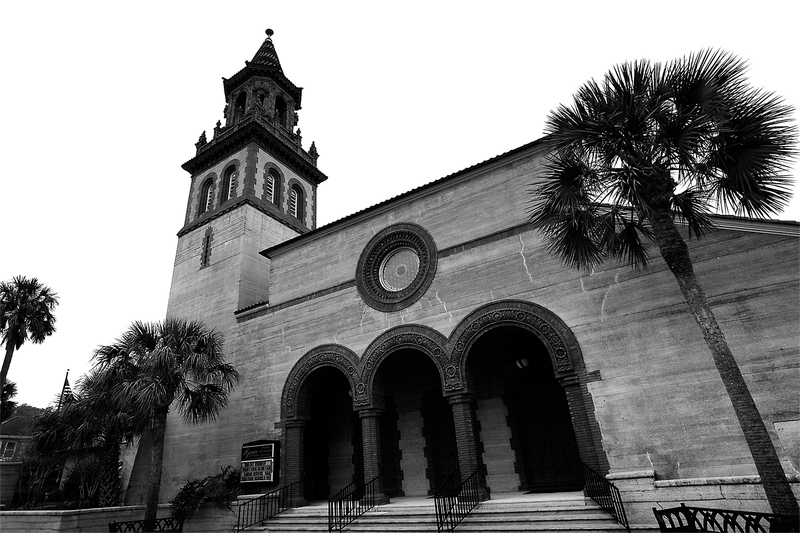 Established in 1925, the Cathedral is a member of the Episcopal Diocese of Central Florida. 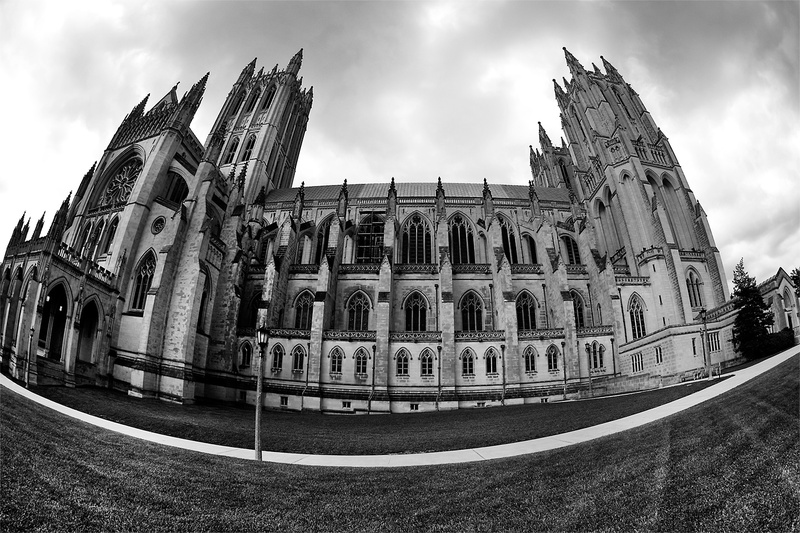 The building was designed by the same architects that designed the Washington National Cathedral. 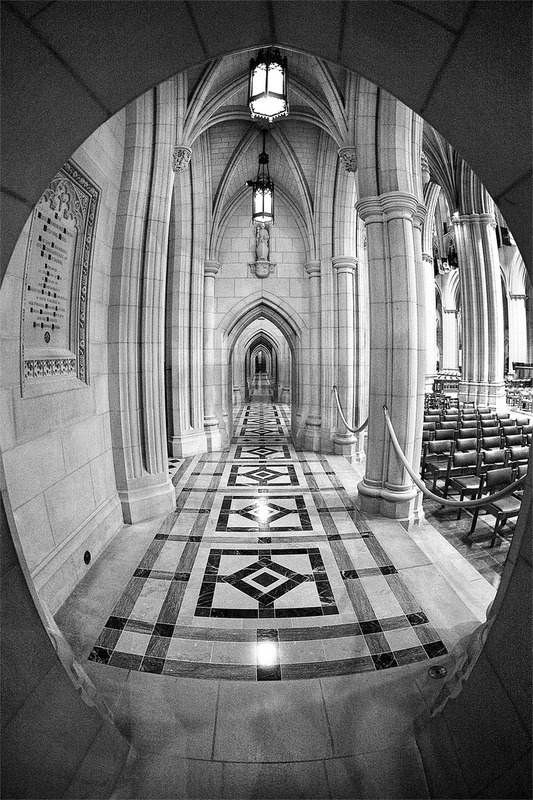 Washington National Cathedral﻿, ﻿Washington DC USA﻿. Established in 1907, it is the second largest Cathedral in the United States and sixth largest in the world. Congress has designated the Cathedral as the "National House of Prayer". 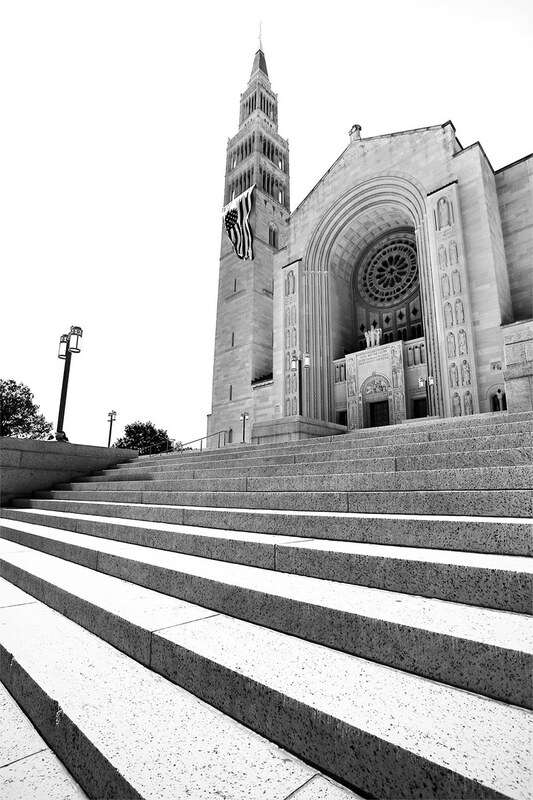 Basilica of the National Shrine of the Immaculate Conception﻿, ﻿Washington DC USA﻿. Established in 1959, it is the largest Catholic Church in the United States and eighth largest religious structure in the world. Praça Do Papa, ﻿Belo Horizonte Brasil. 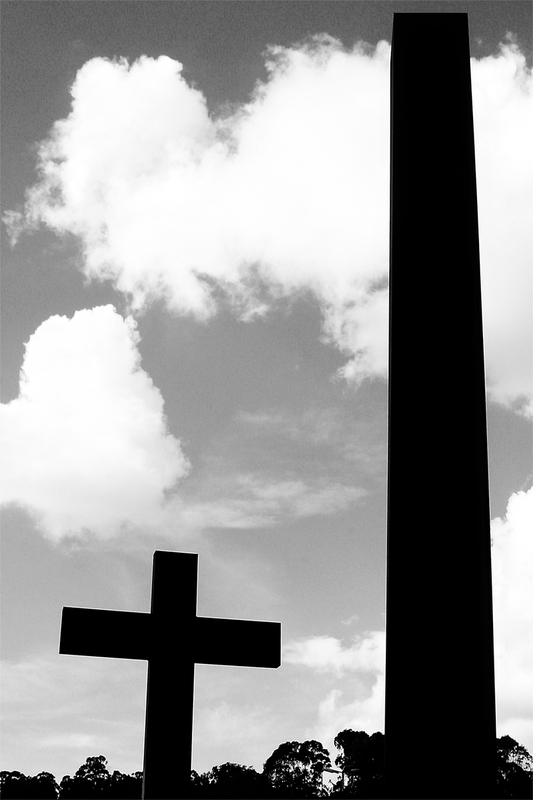 This landmark translates to the English phrase "Pope's Square", and is located at a high point south of the downtown area. Matriz De Santo Antonio, ﻿São João Del Rei Brasil. 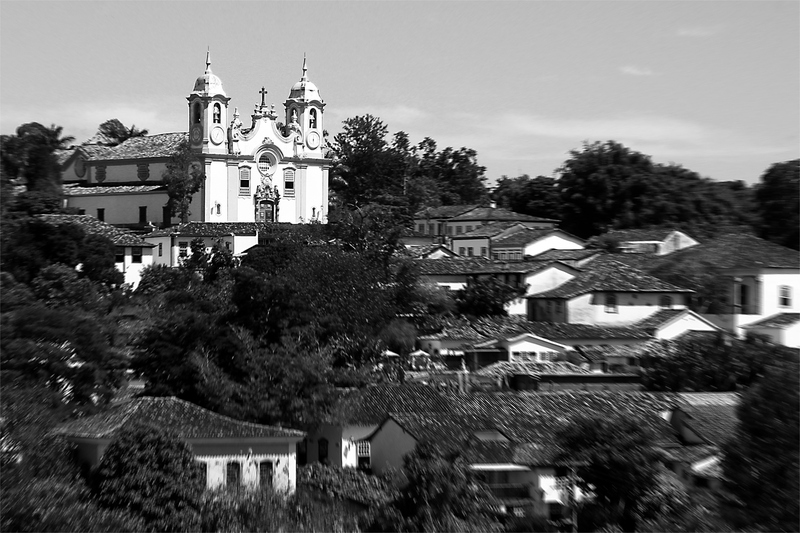 Established in 1752, it is one of the richest Churches in Minas Gerais. The entire interior of the Church is plastered in gold, and is rich in Old Testament symbolisim. 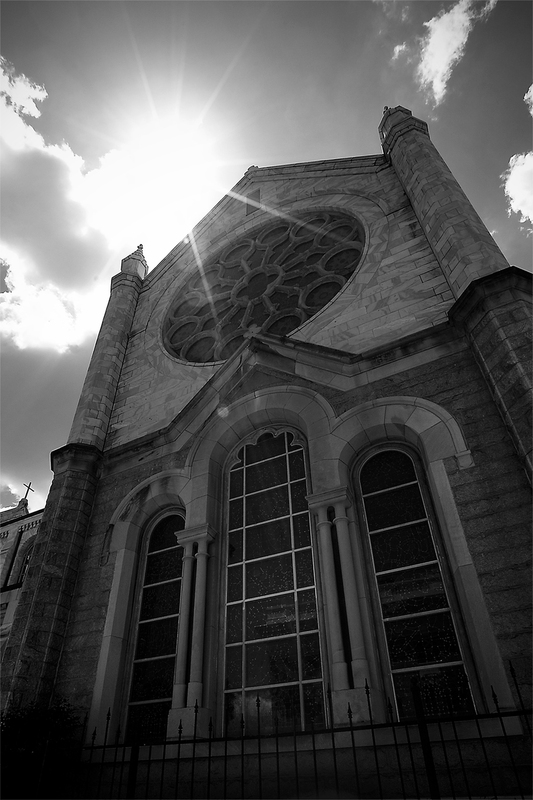 Cathedral﻿ Basilica, ﻿St. Augustine FL USA﻿. 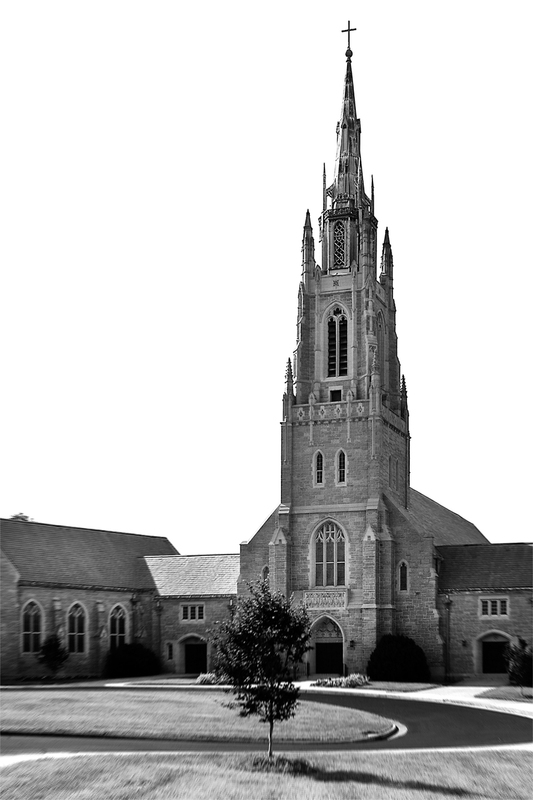 Known as America's first parish, the Cathedral was established in 1793. The structure stands in the first town established in what is now referred to as the state of Florida. Grace United Methodist Church, ﻿St. Augustine FL USA﻿. 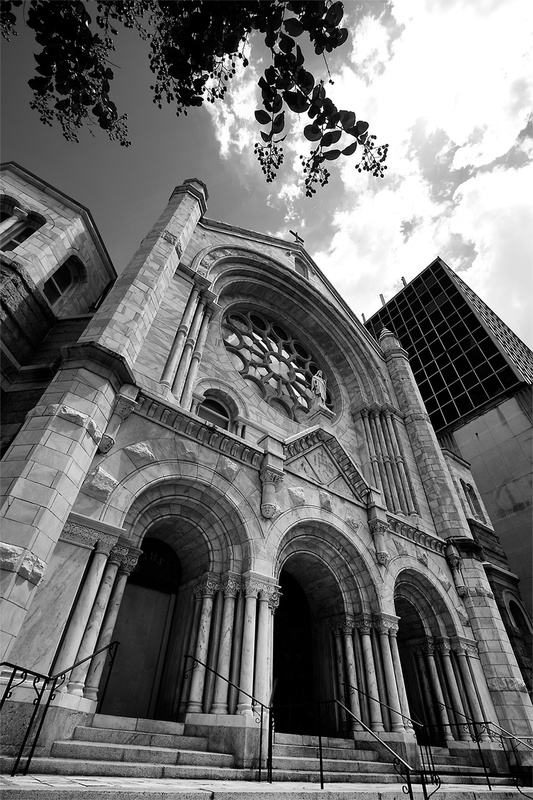 Constructed in 1886, the Church is built in authentic Spanish Renaissance style architecture. 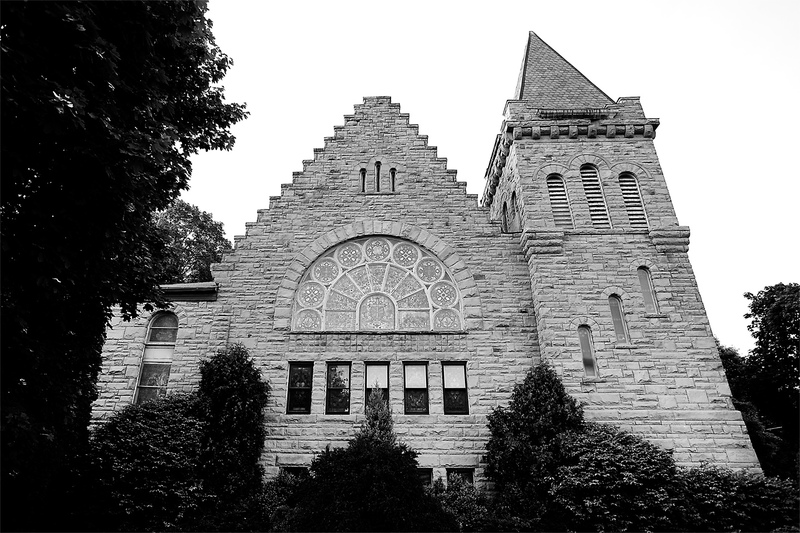 Memorial Presbyterian Church, ﻿St. Augustine FL USA﻿. 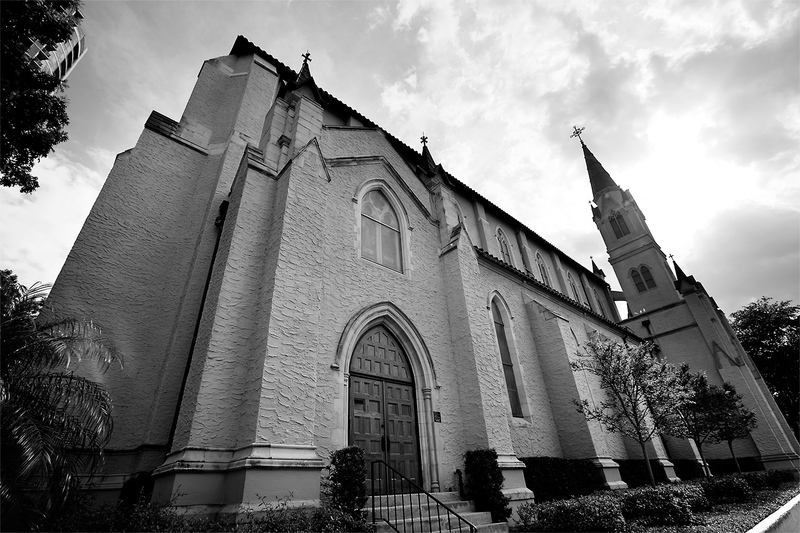 Constructed in 1889, the Church is Florida's first Presbyterian congregation. Sacred Heart Catholic Church, ﻿Tampa FL USA﻿. 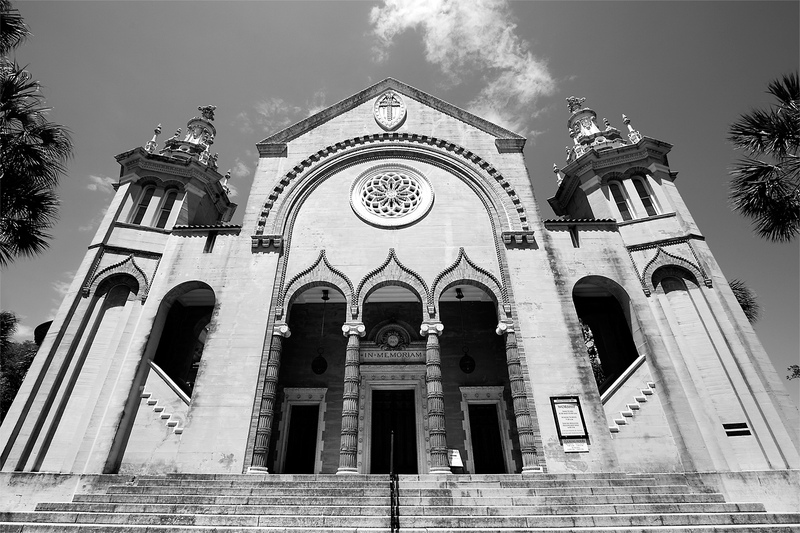 Constructed in 1905, the exterior of the Church consists largely of granite and white marble. The interior holds 70 stained glass windows. Made in the late 1800's by Franz Mayer Co. of Munich, Germany. 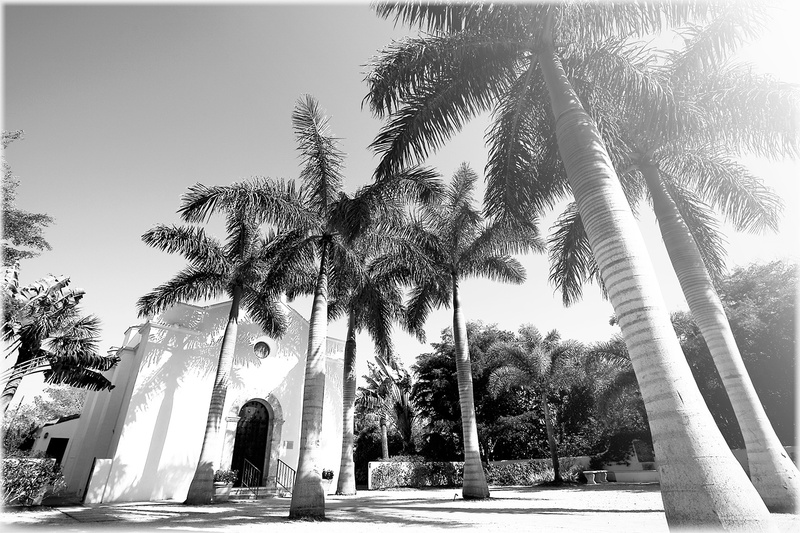 Our Lady of Mercy Catholic Church, Boca Grande FL USA. 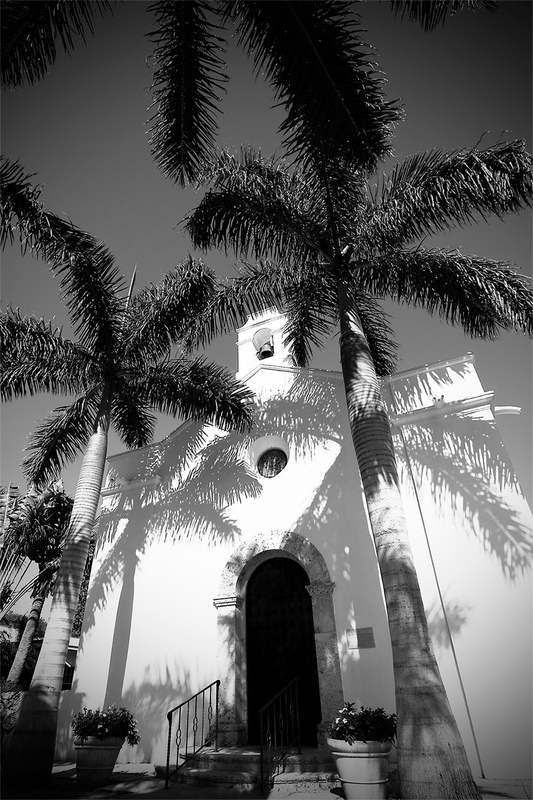 Located on the small island of Boca Grande, the church is entirely enclosed with palm trees. First Baptist Church, ﻿Tampa FL USA﻿. 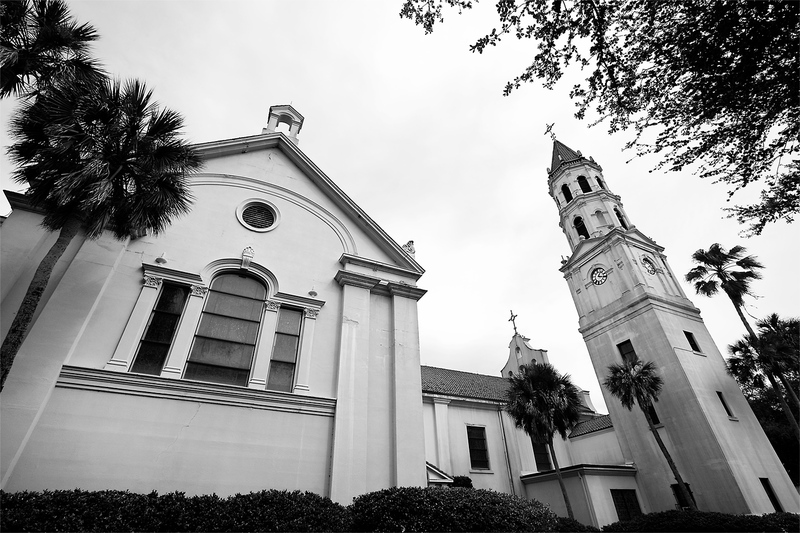 Constructed in 1906, the Church stands at the intersection of W Kennedy Blvd and S Plant Ave. 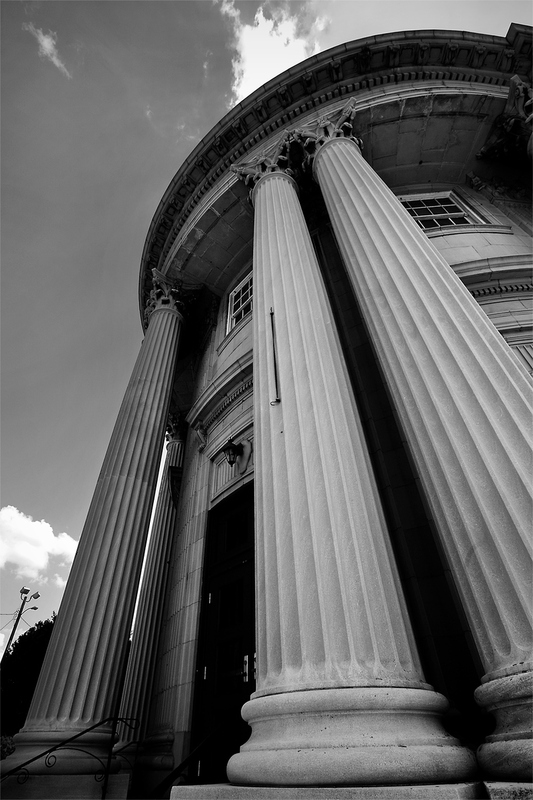 The entrance faces Downtown Tampa Bay, with six massive columns surrounding it's doors. 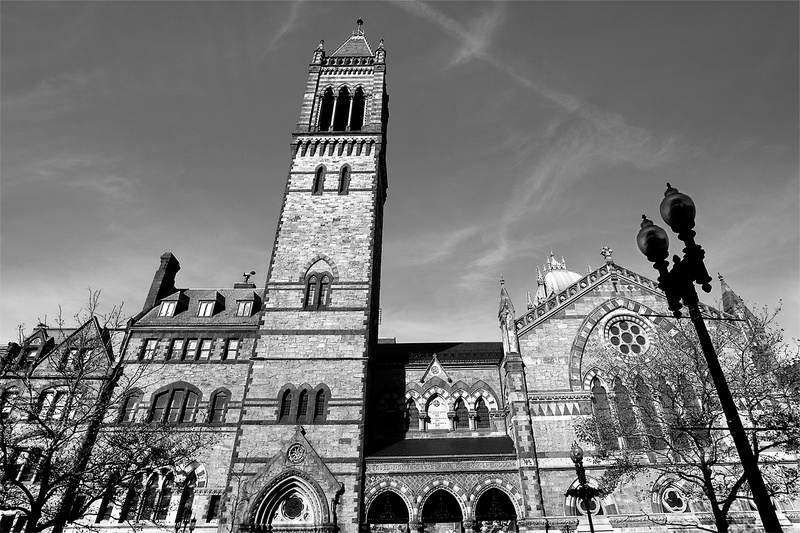 Old South Church﻿, ﻿Boston MA USA. 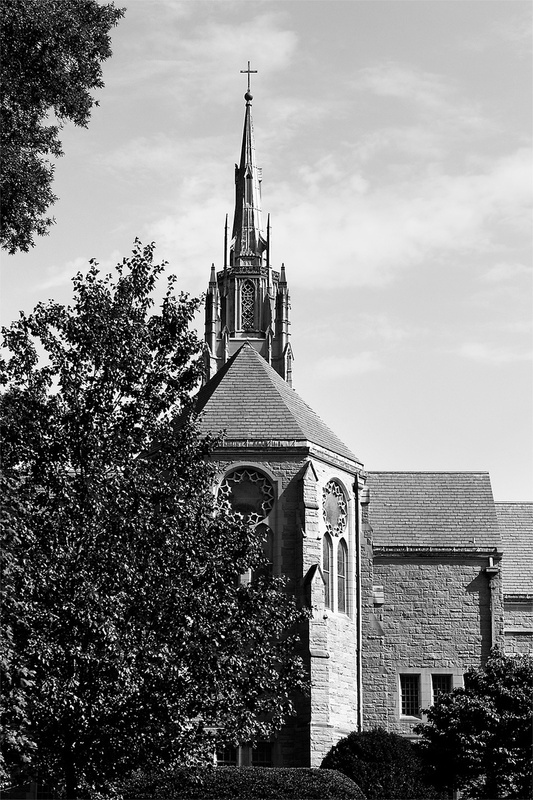 Established in 1874, the Church was constructed in the back bay section of Boston. 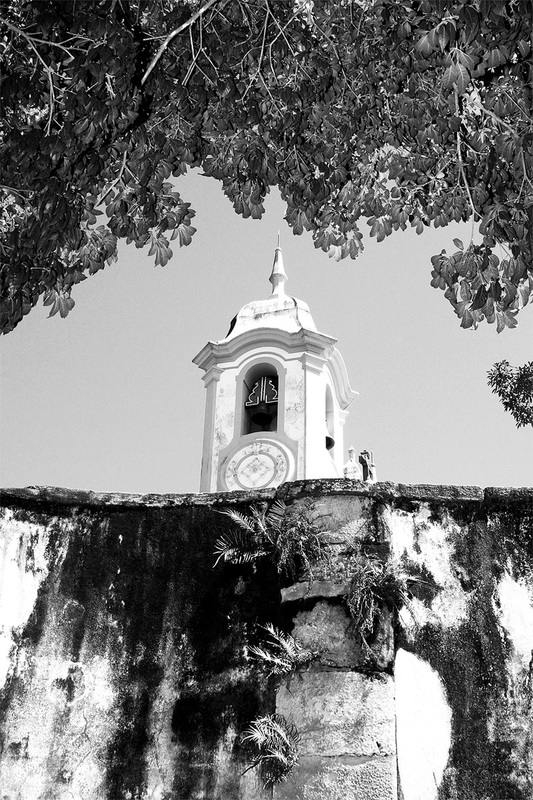 Known for it's trademark features of a tall tower referred to as a campanile, and a famous lantern which is located above the sanctuary on the east side of the Church. The Cathedral of Saint Patrick﻿, Charlotte NC USA﻿. Established in 1938. 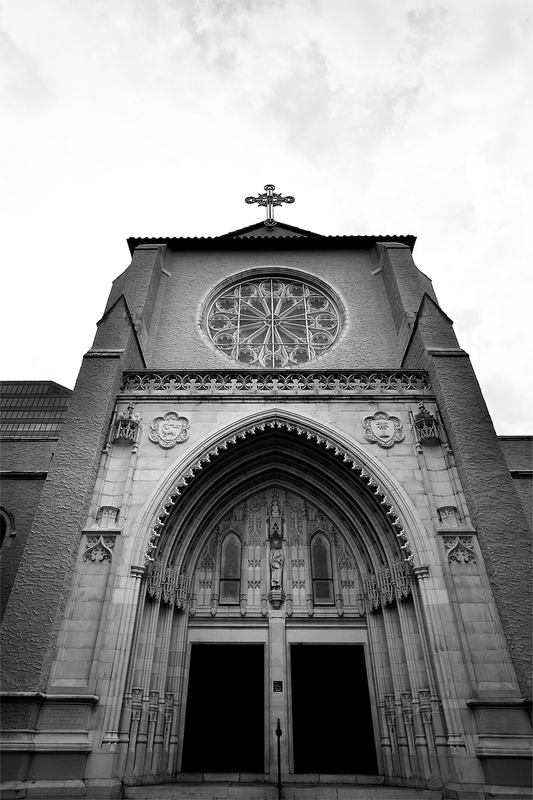 It is the seat of the Roman Catholic Church in Charlotte, and is the mother Church of the Diocese of Charlotte. St. John Church, ﻿Johnson City NY USA. 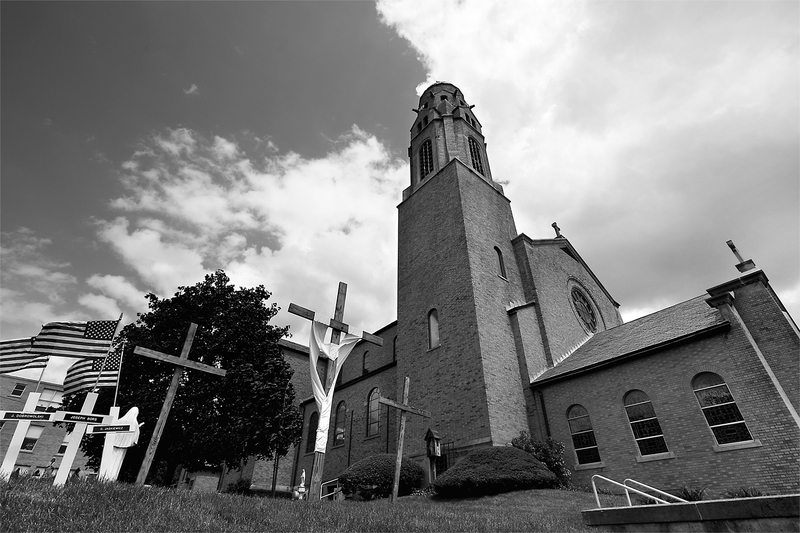 Established in 1926, it was the first Ukrainian Orthodox Church in the area. West Presbyterian Church﻿, ﻿Binghamton NY USA. Established in 1871, the Church is made almost entirely of stone and is nested in a bed of beautifully arranged foliage. Church of the Holy Trinity, ﻿Binghamton NY USA. 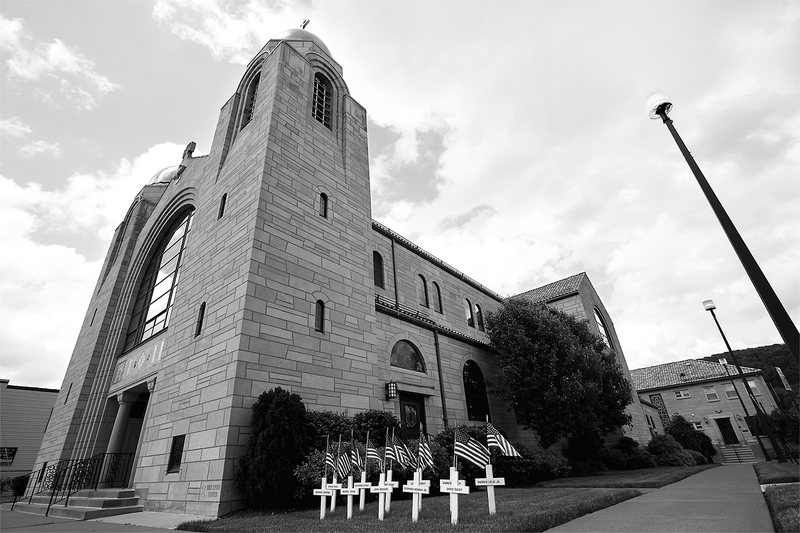 Established in 2003, this Roman Catholic Church﻿ is one of the youngest structures in the Binghamton area.